9 seasons, 208 episodes, and a whole lot of laughter and tears. It was quite the journey; one that saw us falling in love with the characters and their quirky little world. Love it or hate it, this show will always be one of the most successful (and constantly funny) sitcoms of the 2000’s. 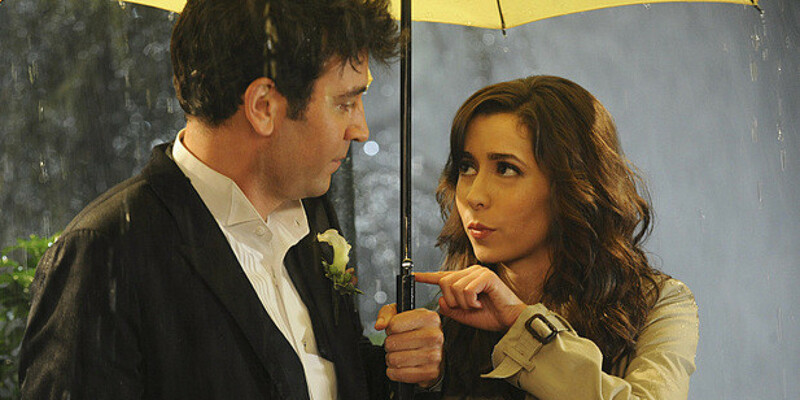 As a tribute to the show, we bring you 28 lesser-known facts about How I Met Your Mother that will make you go “Legen… wait for it… DARY!” Thanks to IMDB for making this list possible. 1. Barney Stinson was named after a heroin peddler in the James Ellroy book ‘LA Confidential’. 2. The two-part finale was the show’s most-watched but lowest rated episodes. 3. Chinese Checkers boards are featured as art on the walls of all the apartments the gang has lived in. In Ted and Marshal’s apartment, for example, it was by the bathroom wall. 4. All of Lyndsy Fonseca and David Henrie’s scenes as Ted’s future children were filmed during the first season to keep them the same age throughout the series. This includes a scene for the show’s eventual final episode that features the titular Mother which was filmed early in the second season. …just like his character (Barney) on the show. 6. The clock in Marshall and Ted’s apartment is always set at 4:20. Some good ol’ Blaze it! humour from the producers there. 7. Most of the websites featured in the show such as www.canadiansexacts.org and www.stinsonbreastreduction.com are real websites. www.lilyandmarshallselltheirstuff.com was created for charity and items from the show were auctioned off. The staff had created over 20 sites that tie in with the show. 8. Due to Jason Segel’s (Marshall) real-life smoking habit, he and his co-star and on-screen wife, Alyson Hannigan (Lily), rarely kissed on-screen because she disliked the taste and smell of smoke on Segel’s breath. At Hannigan’s request, kisses between the two were infrequently scripted. 9. 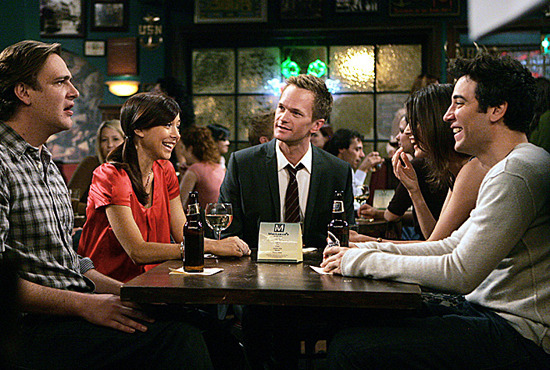 Neil Patrick Harris made $210,000 per episode, while his co-stars made $120,000 per episode. 10. Ted has dated at least 29 women who aren’t the mother. 11. Barney shows up without a suit only 18 times throughout the entire series. 12. Three of the main actors on the show have had their significant others in multiple episodes. Alyson Hannigan’s husband Alexis Denisof plays Sandy Rivers; Cobie Smulders’ husband Taran Killam plays Blauman; and David Burtka, Neil Patrick Harris’s husband, plays Scooter. 13. In the episode “Bad News,” the only number that does not appear onscreen as a numeral is the number 5. Instead, between the numbers 6 and 4, Barney and Marshall share a high five. 14. Jim Parsons, who stars in The Big Bang Theory as Sheldon, auditioned to play Barney Stinson. 15. In the episode where Ted and Robin break up, there was a real life proposal! 16. Had the show not been picked up after season 1, they would’ve ended it with Victoria being the mother. 17. In real life, Cristin Milioti (the mother) is only two years older than her TV daughter Lyndsy Fonseca and four years older than her TV son David Henrie. 18. The mother’s first name is already mentioned in season 1 episode 9. When a stripper tells Ted she is called Tracy, Ted’s off-voice tells his children ‘this is the true story of how I met your mother’. The kids’ shocked reaction reveals that it’s the real name of their mother. 19. In season 9, Barney says that you will never meet a girl for the first time, look them in the eyes and tell them they are the love of your life. However, when his daughter is born and he holds her in his arms for the first time, he immediately knows she is the girl he loves. 20. 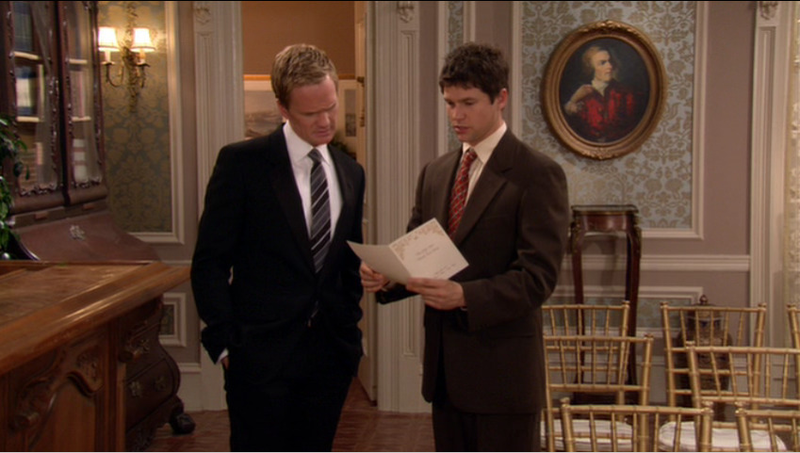 Barney is truly the inventor of “The Bro Code”. According to the number of Google searches, the phrase was non-existent until 2008. 21. Jason Segel didn’t know his character’s father was going to die in the show until Alyson Hannigan (Lily Aldrin) said her line while filming. His reaction was so perfect that they only filmed that one take. 22. , The numbers 83 or 8 and 3 are involved in most of the “statistics” that Barney Stinson expresses. When he posed as an elderly man in one instance, he claimed his age was 83. In another, when Barney wants to get in bed with a woman from a magazine, her picture appears on page 83. 23. 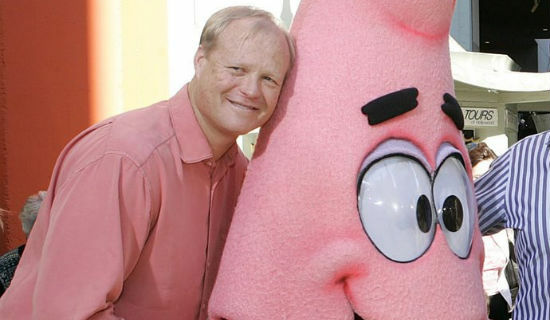 Bill Fagerbakke, the actor who plays Marshall’s dad voices Patrick Star on Spongebob Squarepants. 24. Chris Elliot (who played Lily’s father) is actually the father of Abby Elliot, the woman who played Ted’s crazy girlfriend Jeanette. 25. 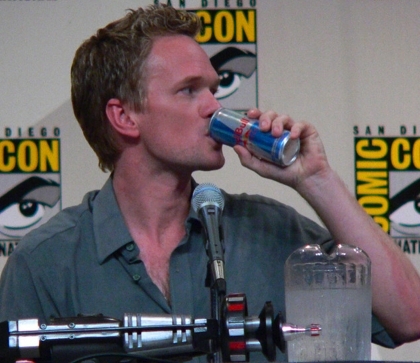 Neil Patrick Harris enjoyed Red Bull so much on and off the set of the show that he was given a lifetime supply of it and a mini-refrigerator by the company because of the amount of free advertising he has given it. 26. Although singers Britney Spears and Katy Perry were two of the biggest guest stars, fashion designer Tim Gunn was the most welcomed guest star from the cast and crew. Nearly everyone on set wanted an autograph from him. 27. The fictional beer “Heisler” that is featured in the show also appears in Always Sunny, Malcolm in the Middle, Star Trek: Enterprise, My Name is Earl, Weeds, Superbad, Training Day, CSI, Workaholics, New Girl, etc. 28. Jason Segel, who plays Marshall on the show, brags about once winning a high school slam dunk contest, really DID win a high school slam dunk contest.